Magical further enhanced her growing reputation with an impressive victory on seasonal debut in the Group Three Alleged Stakes at Naas. Aidan O’Brien’s four-year-old was an even-money favourite, having won the Qipco British Champions Fillies & Mares Stakes at Ascot last October before going on to push the mighty Enable hard when runner-up in the Breeders’ Cup Turf at Churchill Downs. Returning over 10 furlongs, she was towed into the race by her stablemate Flag Of Honour and eased past the long-time leader before stretching clear with ease under Ryan Moore to win by four and half lengths. The same distance stood between the runner-up and third-placed Latrobe, respectively trained and ridden by O’Brien’s sons, Joseph and Donnacha. Last year’s Irish Derby winner therefore performed with credit too, but Magical was in a league of her own. Winning trainer O’Brien said: “That was a lovely start back for her, and you couldn’t be happier with it. “She has the choice of going for the Ganay in two weeks or go for the Mooresbridge and on to the Tattersalls (Gold Cup). “What we thought we would do is give her a few runs, a little rest and then the autumn. “She’s physically done very well over the winter, and we were never as happy with her as we are now. 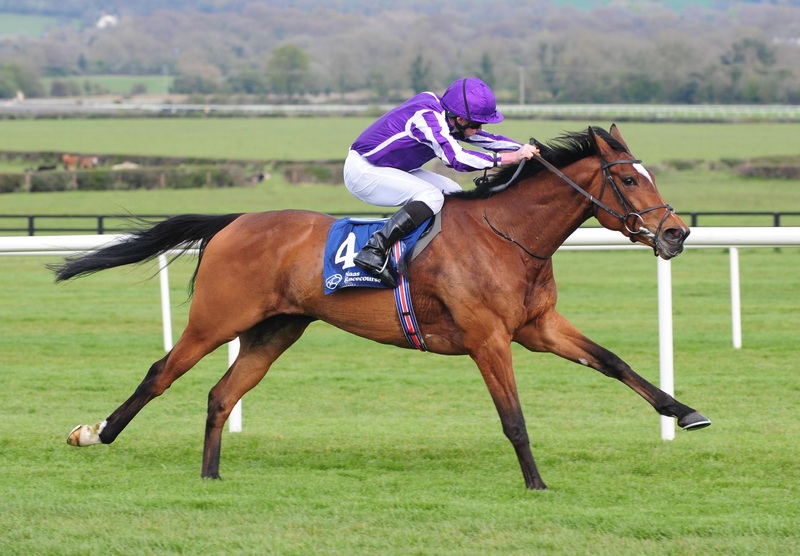 The runner-up did O’Brien proud too, and he added: “I was very happy with Flag Of Honour as well. “He doesn’t need to go as far as we have run him. He could go for the Vintage Crop or he could go for some of the races that the filly (Magical) goes for.